Japan Display Inc. (JDI) today announced the development of a 21.3-inch high resolution (5 mega-pixel) monochrome TFT display made by low temperature polysilicon (LTPS) technology. In order to assure high accuracy in medical diagnoses, diagnostic-use displays have recently tended to require higher resolution, higher contrast, excellent grayscale, and brighter and longer lifetime backlights. After many years of supplying medical-use displays using amorphous silicon (a-Si) TFT technologies, JDI has developed a brand new 21.3-inch high resolution (5 mega-pixel) monochrome TFT display incorporating JDI’s most advanced IPS and LTPS technologies to meet the needs for higher performance displays coming about from the medical market. When a-Si technology is used in high-end medical monitors featuring high brightness (e.g., 2000cd/m2), there are certain side effects that arise from using a more powerful backlight, such as higher cost, bulky heat-sink design, potential noise from fans, higher power consumption, etc. These medical monitors need a better display solution to overcome these problems. By using LTPS technologies, the new display has higher tranmissivity, which contributes to a one-third (1/3rd) power consumption savings compared to the conventional a-Si product. Furthermore, LTPS technologies enable the new display to have fewer driver-ICs and a finer driving circuit layout. 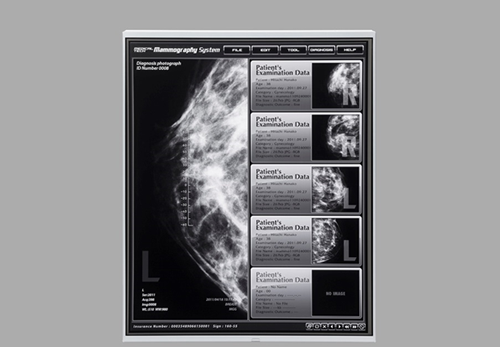 Thus, the display’s border can be narrowed by nearly 45%, which helps doctors to more smoothly read and interpret multi-frame radiology and mammography images. Samples of this new product will be available in the fourth quarter of 2017, and mass production is planned in the second quarter of 2018. JDI plans to further expand its medical-use display lineup by adopting cutting-edge LTPS technologies.